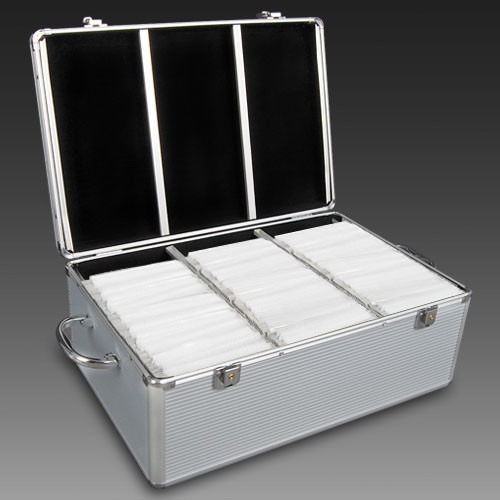 The highly durable Aluminium CD Storage Case will prevent you from scratching or cracking your discs. 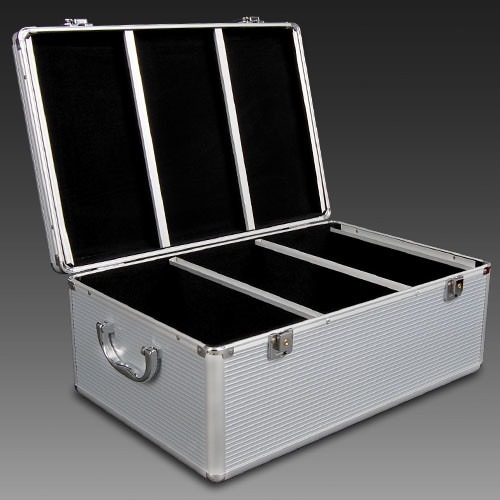 The heavy duty CD case is made of aluminium with black velvet lining, giving it a sturdy structure, light in weight and a chic look all at once. 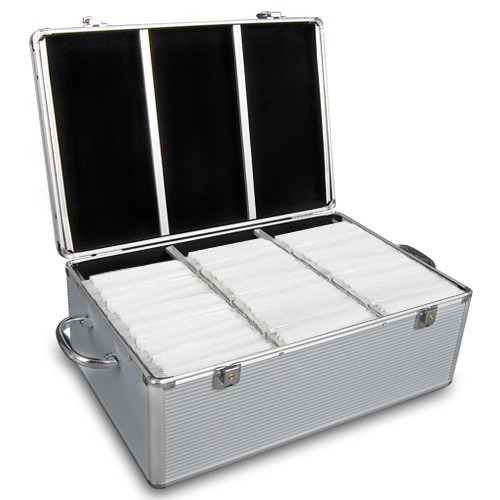 The case comes with 250 inserts and each can hold 2 disks giving it a maximum capacity of 500 disks. The inserts have index labels to ensure easy selection and reference. 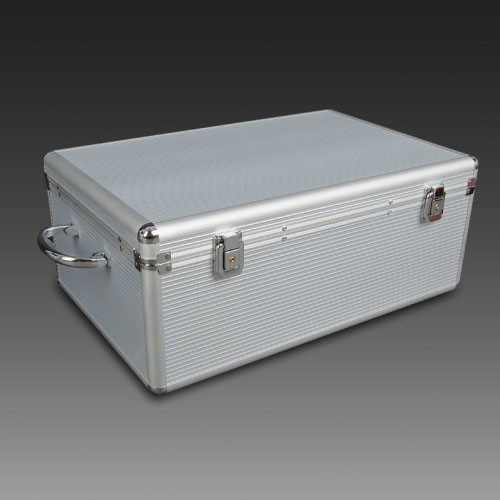 For your privacy and protection, the case comes with a lock and 2 keys. 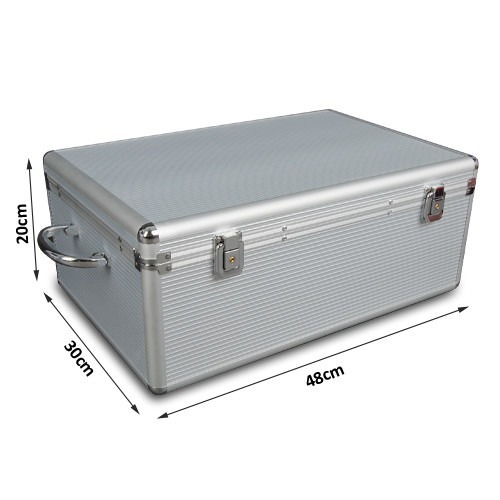 When you buy a 500 Capacity Aluminium CD Storage Case online from Temple & Webster in Australia, we make it as easy as possible for you to find out when your product will be delivered to your home in Melbourne, Sydney or any major city. 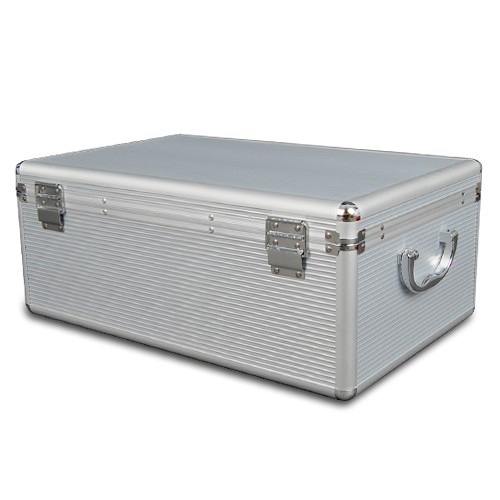 You can check on a delivery estimate for the DwellLifestyle Part #: Case-CD-500-SL here. 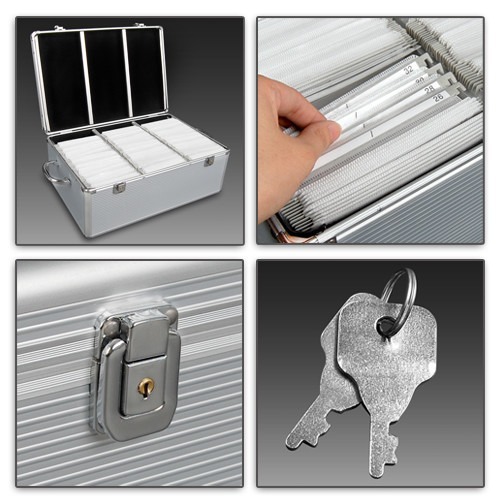 If you have any questions about your purchase or any other Boxes & Baskets product for sale our customer service representatives are available to help.Whether you just want to buy a 500 Capacity Aluminium CD Storage Case or shop for your entire home, Temple & Webster has a zillion things home.